Unemployment and poverty are two of the main challenges that countries, including Guyana, are faced with at present. Unemployment leads to financial crisis and reduces the overall purchasing capacity of a nation. This in turn results in persons getting in the bracket of poverty followed by increasing burden of debt. It is true that unemployment and poverty are mostly common in the less developed and developing economies. 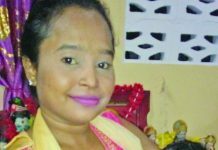 For example, just a few days ago it was reported in the media here that there is a whopping 40 per cent unemployment rate among youths in Guyana. This is quite a high percentage of our young people not being able to find the right kind of jobs to meet their expenses and to develop professionally. In 2012, the Bureau of Statistics conducted a survey which found that 10,326 or 37 per cent of the 17,571 Guyanese between the ages of 15 and 19 were unemployed. The high rate of youth unemployment has triggered a number of negative effects such as crime etc. In fact, only in January, Caricom Secretary General, Ambassador Irwin LaRocque said that 80 per cent of prosecuted crimes are committed by youths in the region are between the ages of 19 and 29. Statistics show that young people constitute one-quarter of the world’s population in the developing nations. This signals a vibrant and hopeful resource for the world. However, far too many young people are being pushed to the margins of society – unable to obtain a quality education or secure a good job so that they can help to break the cycle of poverty which continues to plague their families and communities. Young people are crying out for decent jobs and opportunities to develop themselves. 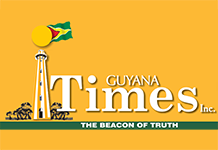 Some persons who would have obtained the necessary skills and qualifications at the University of Guyana and other tertiary learning institutions have written letters to media complaining about the difficulties they are facing in securing employment. On the 2015 elections campaign trail, the APNU/AFC Coalition had promised that once elected, steps would be taken to provide jobs for young people so that they would chose to remain and work here, but four years into government and many are still waiting to see these promises fulfilled. This is not to say that governments alone are responsible for creating jobs, but they have an obligation to the citizenry to create an enabling environment through effective and efficient policy implementation to make this possible. Governmental bodies must display vision to initiate long term measures for poverty alleviation since generation of employment opportunities and equality in income distribution are the two key factors that are of utmost importance to deal with the dual problem of unemployment and poverty. There is need to scale up the most effective and innovative strategies so that more of our youth will find success and realise their full potential in the years ahead. It doing so it is necessary to have more collaboration between governments and the public and private sectors to increase the scale of youth programmes and to seriously engage stakeholders in promoting job and skills opportunities. Further, it is not only the quantity, but also the quality of jobs that matters. Decent work is the best way young people can realize their aspirations, improve their living conditions and actively participate in society. However, there is no one-size-fits-all solution to the youth employment challenge. The UN has pointed out that policy responses depend on national circumstances, hence it is necessary that policy options should be part of an integrated framework that promotes economic development and employment growth. Young people have different experiences and their needs depend on individual characteristics such as age, gender, national origin, socio-economic background and educational and training levels. This calls for combining policies for employment expansion with targeted programmes that overcome the specific labour market disadvantages faced by many young people. Therefore, policies and national programmes that provide incentives to enterprises to hire young people, promote youth entrepreneurship, and facilitate access to finance and to other targeted active labour market measures can also help countries to improve decent work prospects of its young population. The development of national action plans on youth employment that are focused on these elements can guide countries to translate national commitment into action. Previous articleAre the GRA boss and Police Commissioner asleep?